Welcome to the National Youth Jazz Collective, where young jazz enthusiasts find equally keen young musicians. 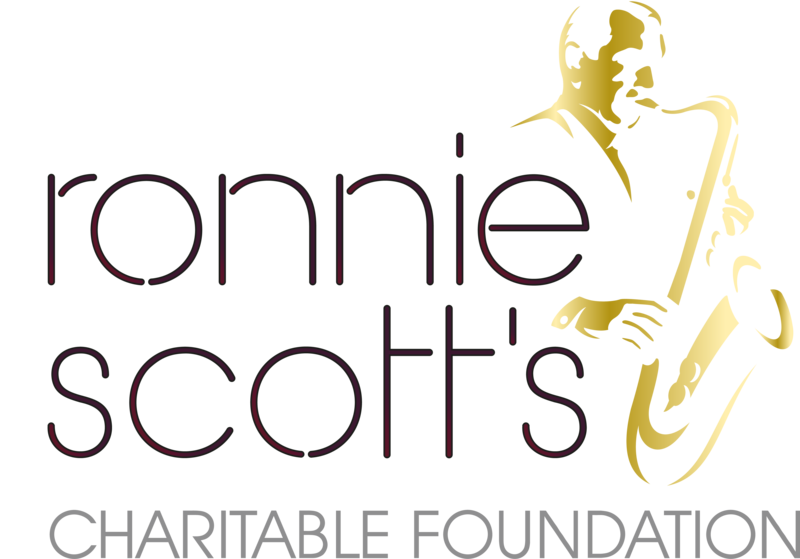 Together we help develop their skills, passion and experience as jazz players. We offer and support music education to increase the ability of 8 – 18 year -olds to play by ear in small groups: to learn, improvise, compose, arrange and lead bands. We run an amazing Summer School every year, selecting 45 of the nation’s best young jazz musicians from a 16 day audition tour. Placed in one of five ensembles and supported by 15 world class performer/educators: their playing gets a huge boost. We also run a series of monthly sessions in different regional centres around the country – open to players of any standard. We champion inclusivity, particularly working to get more young women into combo playing. We’re here to help the next generation enrich and diversify as they develop their own unique ways of listening and playing. It’s their music. 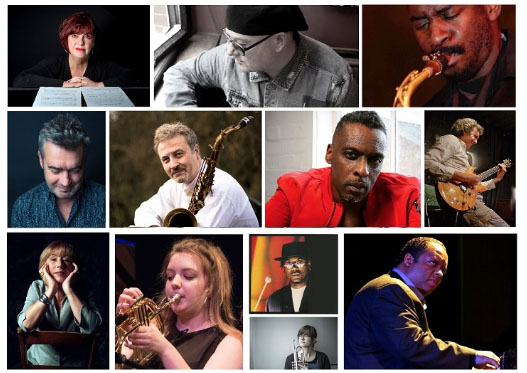 NYJC was founded in 2007 by its Artistic Director Issie Barratt in collaboration with a roster of over 40 world class jazz musicians and educators. Our President is jazz luminary Dave Holland – known for his work with many of the most formative names in jazz. Dave has regularly taken time to visit us from his home in New York, and takes part in our our National Youth Jazz Summer School..
Our most visible and popular programme is our annual residential SUMMER SCHOOL where, via a national audition tour, we select 45 of the most gifted and talented musicians in the UK between 14 and 18 years of age. NYJC alumni have gone to be BBC Young Jazz Musician Winners, Grammy and Mercury nominated artists, winners at the Parliamentary Jazz Awards, Jazz FM Awards, and many of the current young stars on the jazz scene. This stellar cast of leading artists is giving up its evening to bring you a once in a lifetime celebration of the cream of British Jazz. All ticket sales will go directly to NYJC’s much needed Bursary Fund, offering a “once in a lifetime” opportunity to the next generation of gifted and talented young jazz musicians aged 14-18. Amongst the event’s musicians joining NYJC’s Vice Presidents Julian Joseph OBE and Norma Winstone MBE are Liane Carroll, John Etheridge, Tim Garland, Mark Lockheart, Orphy Robinson, Ian Shaw, Cleveland Watkiss, Jason Yarde and NYJCalumni Laura Jurd and BBC Young Musician of the Year, Alex Ridout … plus many more. NYJC’s amazing Annual Summer School selects 45 of the nation’s most gifted and talented young jazz musicians from a 14-day audition tour of up to 200 auditionees, to play in 5 ensembles, supported by 15 world-class professional jazz musicians. Another 35 young musicians are selected for NYJCs inspirational 3-day feeder short course. So that cost isn’t a barrier for anyone, NYJC ensures it raises £12,000 a year for its Summer School & Short Course Bursary Fund. Each ticket sold will get NYJC closer to our annual bursary target, and to making sure that money doesn’t get in the way of talent. NYJC would love it if you could join us. All those amazing musicians on one stage, in a world famous, uniquely intimate setting, means it’s going to be an amazing once in a lifetime gig and all for a really good cause! NYJC is grateful to all the musicians for offering their services and to Ross Dines of the Pizza Express Jazz Club for providing the venue for what will be a truly memorable event.